In a series of exclusive interviews, Business Insider spoke with members of Al Shabaab — the newly emboldened Islamic militant group that attacked the Westgate mall and repelled a raid by SEAL Team Six — to ask how the mall assault was planned, how members are recruited and trained, and what their ultimate goals are. Few Americans had ever heard of al Shabaab before the fall of 2013. That changed on Sept. 21, when gunmen armed with AK-47s entered the Westgate Mall, a suburban-style shopping center in an upscale neighborhood of Nairobi, Kenya, and began calmly, methodically hunting down and murdering shoppers, one by one. As seen on surveillance cameras, the killers are remarkably calm and unhurried, betraying not a hint of anxiety as they go about their grim work. The massacre claimed the lives of at least 67 civilians and injured 200, including several participants in a children’s cooking competition sponsored by a local radio station. The Kenyan military surrounded the mall and initiated a rescue operation, but it was four days before the siege ended, by which point al Shabaab — often translated as The Youth — had made a definitive and bloody mark on the international consciousness. A gunman points his rifle near an injured man during the attack on the Westgate mall in Nairobi. Even months later, there are conflicting accounts of how the attack was conducted, who was involved, and whether the perpetrators escaped, were captured, or died in the assault. Kenyan authorities, the FBI and the New York Police Department have offered diverging and evolving versions of what happened. After initial reports claiming there were up to 15 militants in the mall, Kenyan police and American investigators later said that the attack had been carried out by just four gunmen who were later killed by Kenyan troops. If just this handful of gunmen were involved, their ability to hold off the Kenyan Defense Forces for days — not to mention Israeli security advisors — was a stunning example of the power of asymmetric warfare. However, sources suggested there is more to the story than official accounts have let on. Interviews with five al Shabaab members in Nairobi indicate that the group is both better organized and considerably more dangerous than news reports would suggest. And the group’s proven ability to recruit new members from around the world, including the Somali expat community in Minnesota, has American officials worried that the group could mount an attack on a domestic target — for instance, the Mall of America, in Bloomington, Minn. Meanwhile, just a week after the mall attack, al Shabaab’s renown received another major boost. On Oct. 4, members of SEAL Team Six, the storied commando unit that killed Osama Bin Laden, mounted a predawn raid on a small house in the Somali fishing village of Barawe. The town had been effectively under al Shabaab’s control for years, and one of the group’s senior commanders, Abdulkadir Mohamed Abdulkadir, also known by the nom-de-guerre Ikrima, had taken up residence there with a group of fighters. After being spotted as they crept toward the house, the SEALs came under heavy fire, eventually withdrawing after an hour of intense fighting without apprehending Ikrima. The Pentagon later attributed the retreat to the SEALs’ reluctance to endanger the women and children they encountered in the compound, but it was also clear that the militants’ fiercer-than-expected resistance played a role. In all, it was quite a heady week for the militant group. Having riveted and horrified the world and turned back a mighty superpower, al Shabaab saw its reputation transformed from that of a disciplined local militia and crime syndicate — ivory poaching and the charcoal trade are two of their primary funding sources — fighting for influence amid the chaos of Mogadishu, to a serious geopolitical player and regional force be reckoned with. 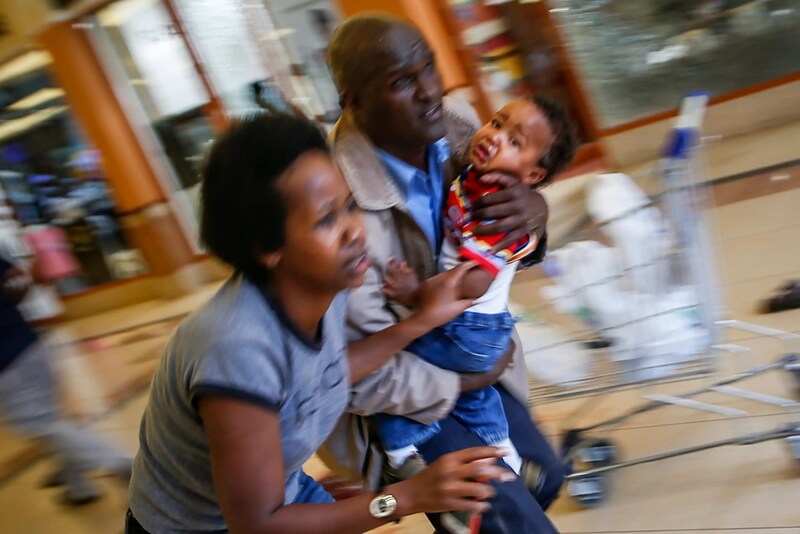 Parents flee with their child as gunmen go on a shooting spree at the Westgate shopping mall. But a number of questions remained about the group’s aims, its organizational structure and in particular how it had pulled off the mall attack, not to mention the threat it might pose to Americans. So in October, I traveled to Nairobi to meet with a handful of al Shabaab members — not the leadership, who are often quoted in the press, but foot soldiers of the sort who have flocked to join the group in recent years, swelling its rank and file. Their stories often contradicted official accounts in significant ways, raising questions about potential corruption in the Kenyan Defence Forces (KDF) and indicating that the mall attack was not simply an improvised bloodbath carried out by four gunmen but a meticulously executed military operation, years in the planning. It may also be a harbinger of attacks to come — devastating, high-profile and exceedingly difficult to prevent. Al Shabaab’s military spokesman, Sheik Abdul Asis Abu Muscab, issues a statement south of Mogadishu Oct. 19, 2011, during the AMISOM incursion into Somalia. We arrived at our destination, the Mathari Mental Hospital, around noon and drove slowly through the campus past the women’s facility, a cluster of low, cinder-block buildings with cages open to the air. Mathari is Kenya’s only mental hospital, and conditions there are deplorable. As we passed, patients dressed in rags, seemingly drugged into oblivion, pressed against the bars, hollering for a visitor’s help. A half hour later, I found myself sitting with John and Jamal on a small hill overlooking Eastleigh, a neighborhood known as “Little Mogadishu” due to its large Somali population. A breeze from a nearby field carries the scent of mint, temporarily masking the smell of the sewage canal below. Jamal, a slight man in his early twenties, wore a long white robe over jeans and skinny white sneakers popular with young Europeans. His head was shaved and he had pale, yellowing eyes and dark brown skin. Identifying himself as a courier for al Shabaab, he eventually dropped a bombshell that helps to explain how just a handful of militants pulled off such a large-scale attack on the Westgate. Law enforcement has been eager to paint the attackers as an amateurish group of opportunists who took advantage of lax security at the mall. By contrast, Jamal told me the attack had been under discussion for three years, since the African Union Mission to Somalia, AMISOM, which includes troops from Kenya, Ethiopia and several other African nations, initiated an incursion, known as Operation Linda Nchi, into Southern Somalia in an effort to drive Shabaab militants from the area. 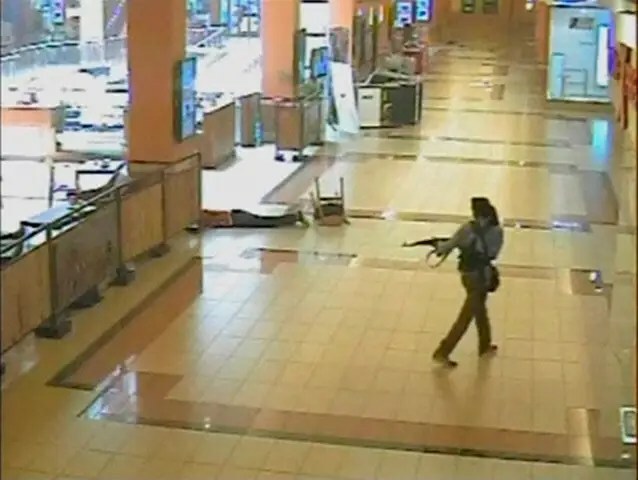 Jamal confirmed that only four gunmen entered the mall on Sept. 21, as Kenyan officials later determined by examining closed-circuit video footage. But he added that the reason the attack was so successful and lasted so long is that other members of al Shabaab were already positioned inside, having infiltrated the Westgate as vendors, bribing police and mall security to look the other way. The killers, he said, were carefully selected by way of a deliberative process of nominations and votes. One key goal was to field a multinational group, as a way of emphasizing al Shabaab’s global reach. Reports indicate that Ikrima, who speaks six languages, has actively recruited for al Shabaab in Europe, and at least one of the alleged Westgate militants, Hassan Abdi Dhuhulow, was a Norwegian national of Somali origin. Another al Shabaab member I interviewed, Abdul, insisted that the team involved in the attack included Yemeni, Turkish, Kenyan, Somali, American-Somali, British, and Norwegian nationals, though this assertion has not been confirmed by Kenyan or American investigators. Neither the FBI, which is assisting in the investigation, nor the Kenyan embassy, returned emails seeking comment. 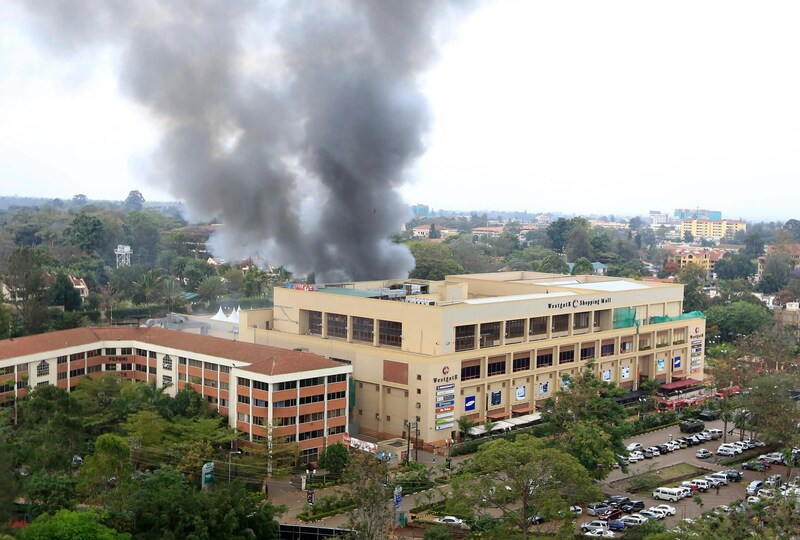 Thick smoke poured from the besieged Nairobi mall where Kenyan officials said their forces were closing in on Islamists holding hostages. The explosions may have been caused by C-4 smuggled in by al Shabaab. The mention of C-4 — or plastic explosives — helped explain the collapse of three floors inside the mall during the siege — an event that a top Kenyan official quoted by the Guardian attributed to the military’s firing of rocket-propelled grenades inside the mall. Business Insider was not able to independently verify this claim, but another al Shabaab member in Kenya told a similar story. “They set up a shop inside the mall and rented a house nearby,” Abdul told me, adding that he’d known fighters were pre-positioned in the mall for nearly a year. “I didn’t know the exact date they were going to attack but I knew the plan,” he said. We were sitting in the back of a bar in a shanty on the edge of Eastleigh, a neighborhood which The Norwegian Council for Africa has described as a “country within a country with its own economy.” Along the neighborhood’s main boulevard, multi-story buildings with roof satellites tower over rows of shanties made of tin and mud. Luxury SUVs snake along pockmarked roads, avoiding carts of scrap pulled by donkeys, camels or men. There are mosques on almost every block. 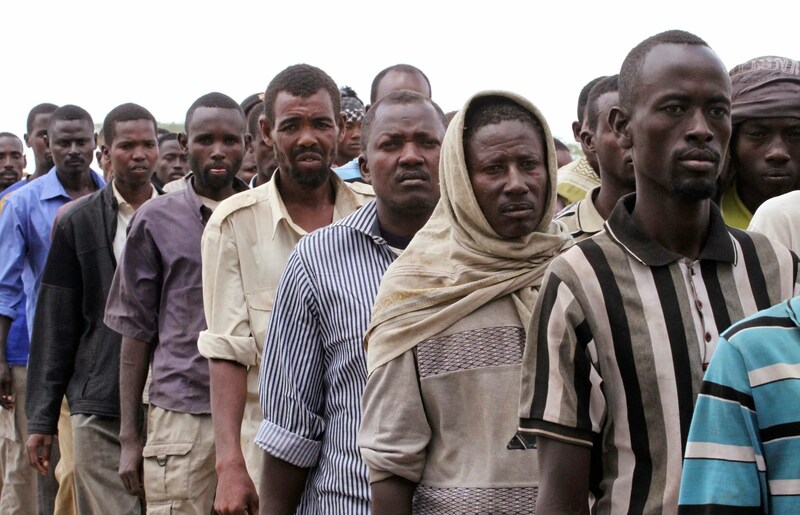 The area’s poverty provides a fertile recruiting ground for al Shabaab. Abdul was short and slight, wearing a camo T-shirt with a bullseye on it, a choice that gave the driver, Charles, a laugh. But despite that dash of brazen humor, Abdul seemed nervous, even in familiar surroundings, and he changed his phone’s SIM card repeatedly as we spoke. Like Jamal, Abdul was adamant that bribes were paid to members of the security force at Westgate. “Some of them received as much as 50,000 Kenyan Shillings (about $580) to make sure the vehicles carrying these arms were not searched,” he told me. A written confession posted on a Kenyan website in October and widely circulated by local bloggers, tells a similar story. In the account, the author, who identifies himself as Omar Abdi, says he spent years simultaneously serving in the Kenya Defense Forces and helping to train Islamic fighters for al Shabaab. The field behind Kenya’s Mathari Mental Hospital where we met Jamal. Eventually Abdi was taken to a safe house by a handler named Yusef. Pictures of the Westgate had been pinned to the walls, with Quranic verses scrawled across them. Yusuf told me that I was to drive one vehicle to Westgate then drive away. … At around midday, both Yusuf and the other intelligence man were constantly talking on their phones. They seemed to be talking to people inside Westgate because they asked if things are ready at the building. We left the house about twenty minutes later in two vehicles. I drove to the front of the building and stopped and the fighters jumped off, then I drove away. That night at around midnight, someone called me to say that I should change my phone number and throw away the phone. It’s important to note that this confession cannot be authenticated, but many of the details matched the stories told by sources I spoke with. 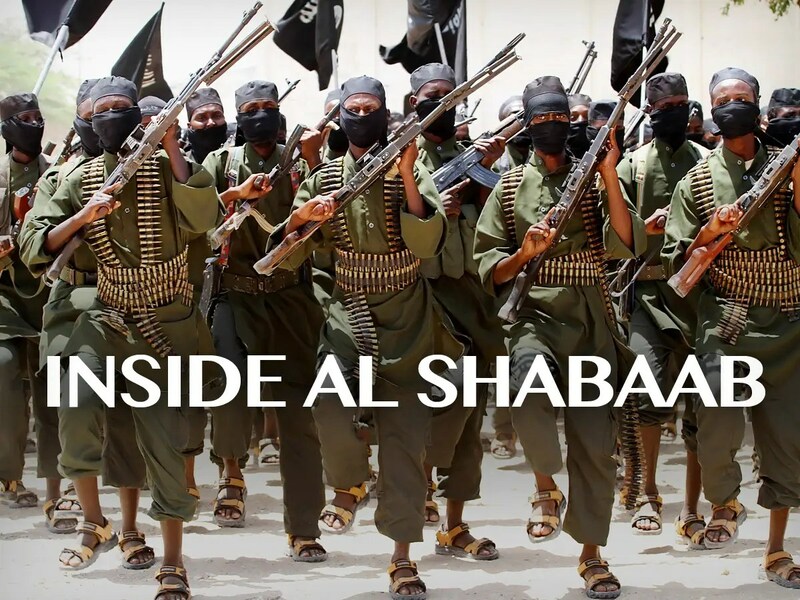 Al Shabaab is one of four groups officially affiliated with al Qaeda, and it shares the better-known jihadi organization’s Islamic orientation, ruthlessness, and flair for attention-getting operations. Its goals, however, are more local in scope. While al Qaeda’s aims include the eventual establishment of a global Caliphate based on a strict interpretation of Islamic law, al Shabaab is primarily focused on its battle with the Somali transitional government and the Kenyan military. The Kenyan campaign in Somalia, which began in 2011, has been a powerful recruiting tool for al Shabaab in parts of Kenya with large Somali populations. But the group has been drawing new members from around the world. According to Seth Jones, associate director of the RAND Corporation’s International Security and Defense Policy Center, al Shabaab has already recruited 40 Americans to its ranks. This includes Jehad Serwan Mostafa, a Wisconsin native who is al Shabaab’s de facto foreign policy coordinator. He’s on the FBI’s most wanted terrorist list. The extent to which al Shabaab should align itself with al Qaeda’s global jihad has been a contentious issue that in the years before the Westgate operation split the group into factions: one that pledged its allegiance to al Qaeda’s leader Ayman al Zawahiri and adopted the name Al Qaeda in East Africa, and another that opposed the merger. Some observers have theorized that the mall attack was part of an attempt by the al Qaeda-aligned faction to assert its dominance. Members of al Qaeda-linked militant group al Shabab are paraded at Maslah square after their surrender to the authorities in the north of Somalia’s capital Mogadishu Sept 24, 2012. As the group has expanded, it has attracted members who seem motivated less by ideology than more practical concerns. None of the al Shabaab members we spoke to were radical Islamists. While they expressed outrage at the Kenyan military’s involvement in Somalia, they were not supporters of global jihad. Abdul, for instance, was not even born a Muslim; he was approached by leaders from his local mosque at a young age and was persuaded to convert, before eventually being introduced to al Shabaab. Like many of the group’s newer members, he says he joined the group primarily because he needed a steady paycheck. “I didn’t want to be a Muslim,” he said, “but because of financial stability I turned.” Both Abdul and Jamal earn 10,000 Kenyan shillings per month, or $117 dollars. They are told that if they’re killed fighting for al Shabaab, their families will continue to receive money, but two female members I spoke with reported that such payments dried up after their husbands left to fight in Somalia. After his initial recruitment, he was sent to Mombasa, where he studied under Sheikh Ibrahim Omar, the top-ranking al Shabaab leader in Mombasa who was killed in the aftermath of Westgate. He was later sent to Somalia by boat, where he trained for three years in military techniques, working with foreigners from as far away as Norway. Some of those he met claimed to be connected to al Qaeda. Abdul said he remained in Mogadishu until the Kenyan Defense Force and troops from the African Union Mission in Somalia (AMISOM) took the city in 2011. He was sent back to Eastleigh and currently acts as an enforcer for al Shabaab where he “watches, investigates, follows group members” to make sure they remain loyal. His job was especially hard, he said, given growing concerns that any one of the 300 people he oversees could turn on him to save their own skin. Kenyan police typically stay out of Eastleigh, allowing the neighborhood to police itself. Now, Abdul said, people connected to the group — even those only rumored to be connected — are disappearing. As we parted, Adbul said he is “very, very worried” that the same thing would happen to him. Then he walked off into the maze of shanties. Jamal said he joined the group for financial reasons, a motivation common to all the al Shabaab members I spoke with. He was told stories at his local mosque about the evils of America and Europe, which turned him against the West, he said. He soon fell under the influence of Sheikh Ibrahim Omar, and is waiting to go to Somalia to train. After two years studying in the mosque, he was given a job as a courier, delivering messages to group leaders there. This position put him in contact with some of the most prominent figures in the movement. He claims to have met the “White Widow” Samantha Lewthwaite, a British national and al Shabaab luminary, whose husband killed himself in the 2005 suicide attack on the London subway. Living on the coast, Jamal seemed especially rattled by the SEAL raid. Al Shabaab’s leadership was apparently rattled too; Jamal told me that all meetings had been canceled for the foreseeable future. The group was going into hiding. Of all the al Shabaab members I met, Jamal was the most radical; his contempt for me was apparent throughout our conversation, and he seemed to have accepted the interview request in order to make a political point. A view of the Mathare slum in Kenya. Not every al Shabaab member has found his experience with the group rewarding. Just after noon one day, I met 24-year-old Hassan Omar Kalondi in a bar in Mathare, a six-square-mile slum with a population of 500,000 — about the size of Denver’s. Nervous sitting outside, Hassan seemed to relax after we retreated to a table in the corner and the waitress brought us a pint of vodka. A floor below us, a welder’s torch cut scrap metal, making it hard to hear. It didn’t matter; Hassan spoke only in short sentences, often replying to queries with just a nod. He said his brother was a member of al Shabaab, who participated in the group’s July 2010 bombing attack in Kampala, Uganda, which targeted a pair of bars during the World Cup final and killed 74 people. He said he’s unsure of his brother’s fate, but has heard he was tortured and killed by the Ugandan army. Hassan took after his sibling, studying at the local mosque before being sent to Mombasa and then Somalia for training. His experience was similar to that recalled by Jamal and Abdul, but unlike them, Hassan did not excel. He claims commanders beat him repeatedly on the legs and back with sticks. He said he escaped the camp and eventually made it back to Mathare. Now, he was hiding from his erstwhile comrades as well as the Nairobi police. I doubted the veracity of his story until we stepped outside into the midday sun. His legs and neck were covered in scars. Some wounds appeared to still be healing. After we drove a short distance, he hopped out of the car and disappeared into the crowd. I also met a pair of female members. Amina, 25, has been with the group for two years. She joined at her husband’s insistence shortly after their wedding, because they needed the money. As we spoke, she turned away, lowered her black robe and nursed her year-old daughter. She drank Fanta and stroked circles on her daughter’s head as she told me how her husband had been sent to Somalia to fight. Soon after, a man she called Hassan Juma, who had been delivering their regular pay, disappeared. Asha, 21, told me a similar story, sitting in her home in Mathare, a tiny dwelling no bigger than a Western bathroom, with a tin roof and walls made of mud and cardboard. I perched on a small chair in front of a broken TV. She sat on her bed under a picture of Rihanna. Like Amina, Asha joined al Shabaab when she married her husband. Soon after, he was taken to Somalia to fight. “After he left, he never came back,” she said. Then the money stopped coming. “He’s ok, he’s safe, he’ll come back,” she said. As al Qaeda has declined in influence and operational strength, smaller groups like al Shabaab, Al Qaeda in the Arabian Peninsula, Al Qaeda in the Islamic Maghreb and Boko Haram — which just last week butchered 43 students at a Nigerian secondary school — have been growing quickly and are pursuing various regional goals under the banner of Islamic fundamentalism. These groups, which have been dubbed Al Qaeda 2.0, pose a more decentralized and in some ways more vexing challenge to counterterrorism officials. Unlike the 9/11 attack — a complex operation against powerfully symbolic Western power centers — the new generation of terror groups favor so-called soft targets and attacks designed to sow maximum terror. The question increasingly preoccupying government officials is to what extent such groups — or lone-wolf types acting in support of them, like the Tsarnaev brothers behind the Boston Marathon bombings — will seek to bring the fight to American shores. According to government officials, Al Shabaab has recruited as many as 40 Americans to its ranks. Here, a few sought by government investigators. Perhaps the most fertile Western recruiting ground for al Shabaab is Minnesota, home to the largest Somali expat community in the U.S. More than half of young Somali-Americans living in Minneapolis are unemployed, and since 2007, more than 22 have left Minnesota to join the terror group. Two have become suicide bombers, and at least six more have been killed in fighting. Cabdulaahi Ahmed Faarax, who was recruited by the group in 2005 through the Abubakar Islamic Center in Minneapolis, is now a leader of al Shabaab who has been indicted on nine terror-related felony counts. 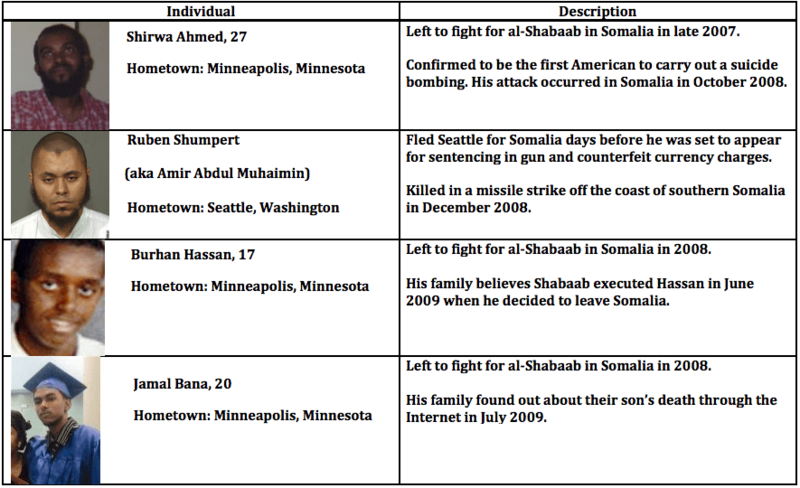 In 2012, a federal trial jury convicted Mahamud Said Omar, a janitor at the Abubakar center, of helping facilitate the travel of young men from the Twin Cities to fight with al Shabaab in Somalia. And last year, shortly before the mall attack, the FBI drew attention to a 40-minute recruitment video attributed to al Shabaab, which had been posted to YouTube. Entitled “Minnesota Martyrs: The Path to Paradise,” the video, which was quickly deleted, glorified three area men who had joined the fight in Somalia and encouraged others to join them. Given such developments, the Westgate mall attack immediately stoked fears that the Mall of America, the behemoth shopping center located in Bloomington, Minnesota, with more than 520 stores and upward of 40 million visitors each year, could present a tempting target should an al Shabaab group or its supporters wish to carry out its threat of avenging bin Laden’s death. This is one reason the owners maintain their own private counterterrorism task force and released a statement after the Westgate siege aimed at dispelling visitors’ fears. 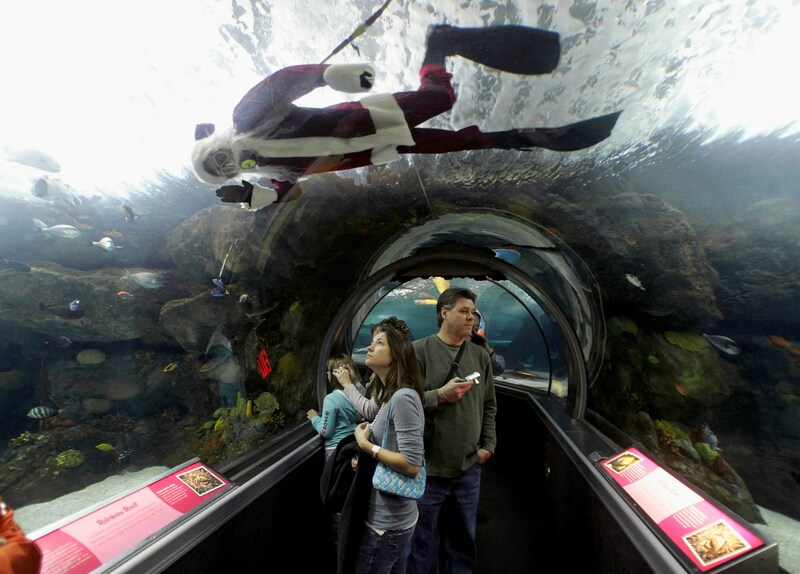 A scuba Santa at the Mall of America, which some fear could present a tempting terror target. For now, Seth Jones tells Business Insider that he doesn’t “see a blinking red threat to the United States.” But he cautioned that the situation is fluid. W. Anders Folk, a former assistant U.S. attorney in Minnesota who was a member of an FBI-run task force investigating al Shabaab activities there, added that it’s impossible to know the true threat level to an American target. 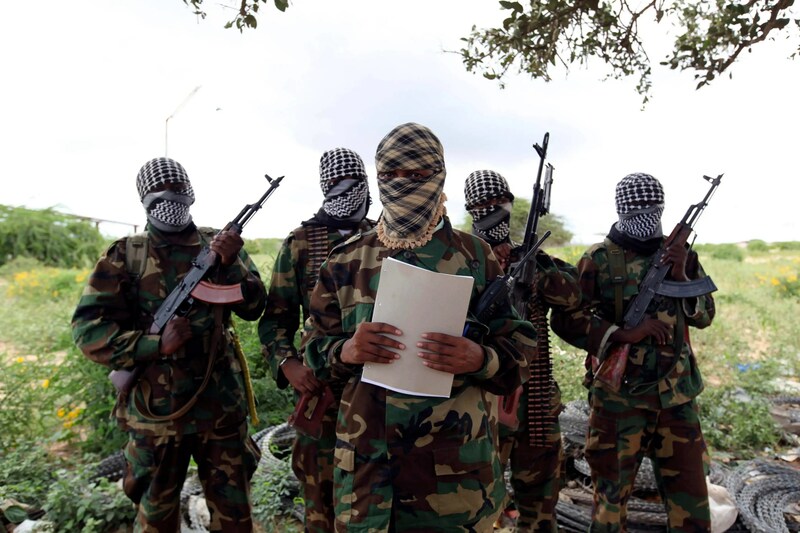 “Although weakened as an insurgency, al-Shabaab remains a lethal terrorist organization,” a U.S. counterterrorism official told Business Insider. “The group today is less preoccupied with controlling and administering territory, which may have freed up additional resources for operational use. The Westgate assault was the most brazen in a string of attacks over the past two years. According to the al Shabaab members I spoke with, the failed SEAL raid did have a detrimental impact on the group’s operations. Meetings were cancelled. Communication ceased. Plans were put on hold. With new assaults on the group apparently being planned by the African Union Mission to Somalia, al Shabaab seems determined to play offense. In February, the militant group claimed responsibility for a series of suicide bombings in Mogadishu. One, aimed at a U.N. convoy, killed seven Somalis. And on Feb. 21, a car bomb ripped through a gate of the nation’s fortified presidential compound, Villa Somalia. According to Somali police, Shabaab commandos wearing uniforms resembling those of the palace guards then attacked the nearby house of Somalia’s top military commander, fighting a fierce gun battle with forces stationed there and killing the prime minister’s chief of staff and a former intelligence chief, among others. The nine attackers were killed in the assault, but as Abdul and Jamal are well aware, there are many more where they came from. David Francis is a freelance journalist specializing in international affairs, conflict and the global economy. He has reported from around the world, most recently as the Richard Holbrooke Journalist-in-Residence at the European Council on Foreign Relations. He has written for Foreign Policy, Atlantic Cities, Business Insider, the Christian Science Monitor, Financial Times Deutschland, and Deutsche Welle. He is a contributing writer to World Politics Review, SportsIllustrated.com, and the Pittsburgh Post-Gazette, among others. Follow him on Twitter here.